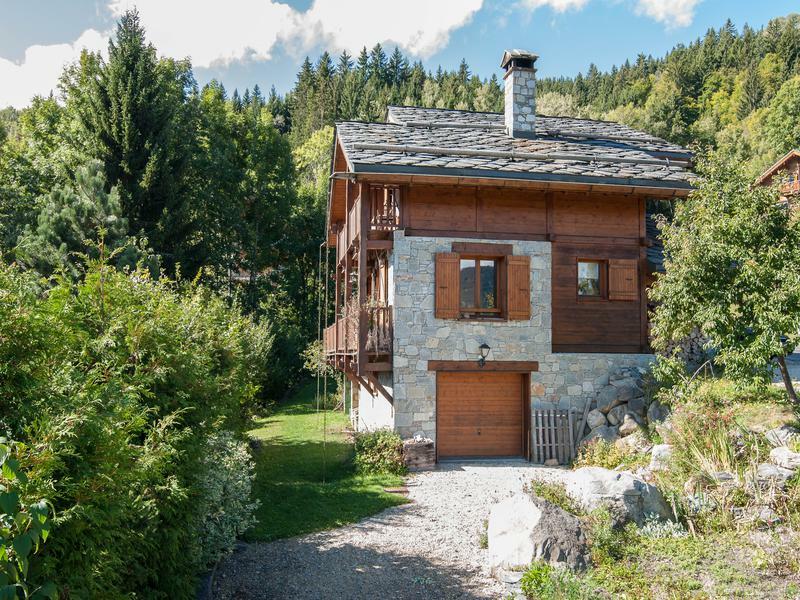 This magnificent chalet is located in Les Allues, the main village in the Méribel valley. In winter, a short 3min drive to the Olympe bubble, or the free shuttle service, gives access to the slopes of Méribel and beyond. 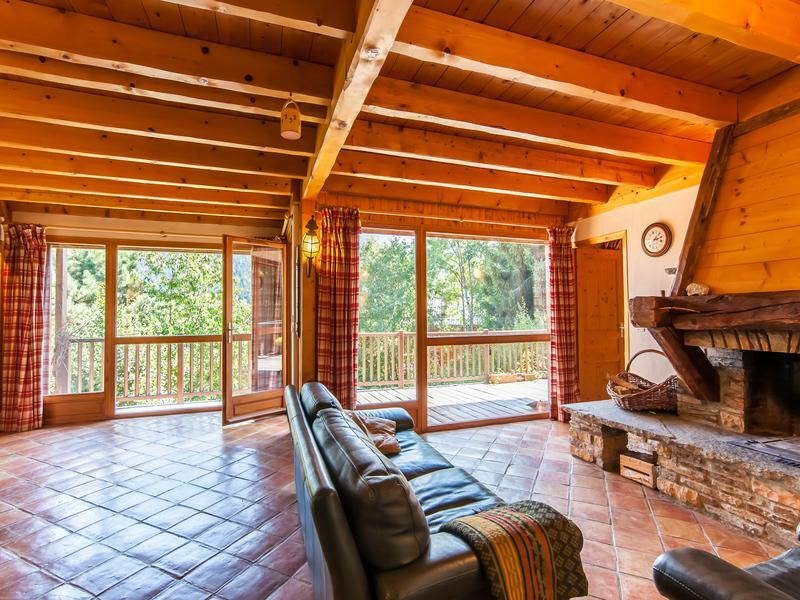 Situated on extensive sunny grounds of 1059m² the chalet includes 2 garages and an independent 1 bedroom apartment. The large plot of land also adds offers possibility of building an additional chalet. 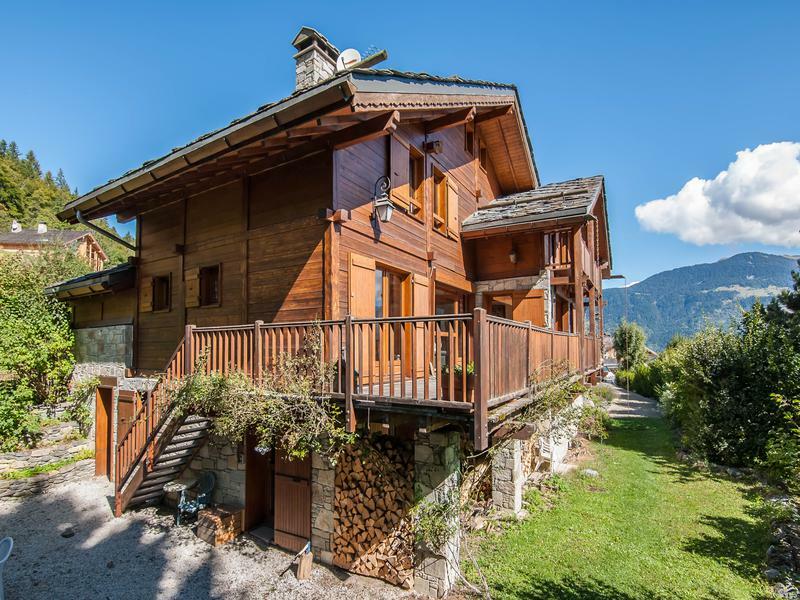 Perched in the upper part of Les Allues the chalet was originally built as a spacious family home. The chalet was built in 1997 on a large east facing plot and benefits from a very sunny exposition particularly in the morning. 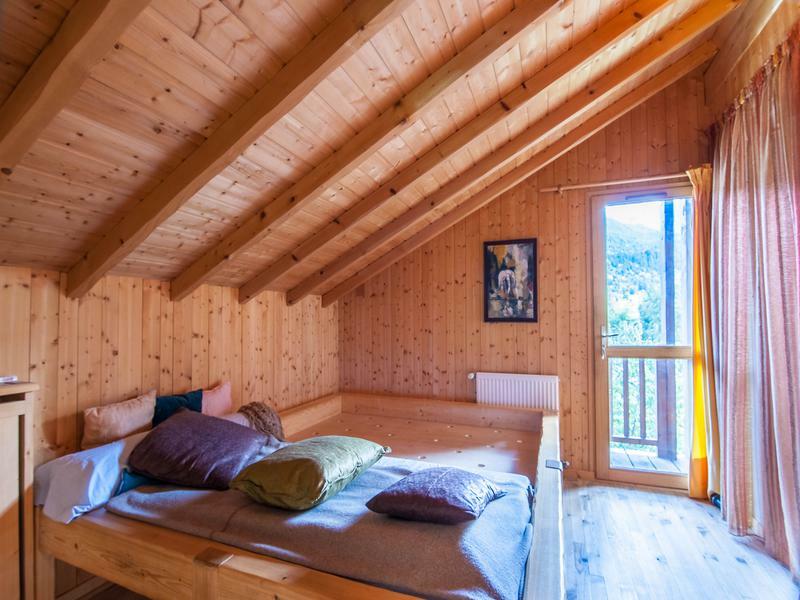 With 195m² of habitable space the chalet has a spacious calm feel to it. An ingenious mix of gas and wood burning sources of heating provide an economic solution to the annual energy requirements. The extra apartment with separate entrance could be a welcome additional income source or provide staff or family accommodation. The main entrance to the chalet is situated on the 1st level adjacent to one of the garages (18.4m²) and the road. Through an entrance hall (7.2m²) with independent WC (1.9m²) and one is greeted with a vast living area (36.9m²) complete with open fireplace and fabulous views to the east and an extensive wooden terrace. 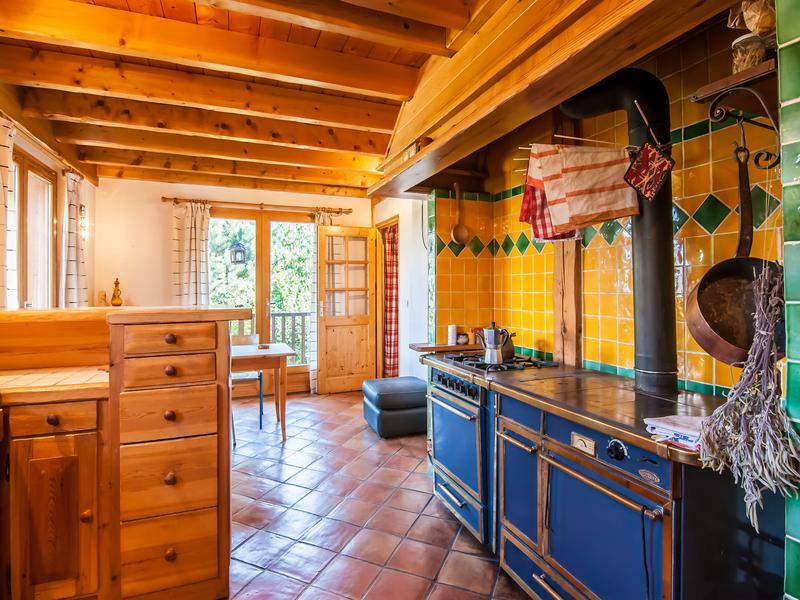 To one side of this we find the well equipped kitchen and dining area (21m²) which boasts a modern wood burning kitchen stove which can also supplement the hot water system in the chalet. The kitchen also benefits from lovely views and a separate entrance on this level. Also adjacent to the main living area is the first of the en-suite bedrooms (16m²) with bathroom (3.4m²) and separate WC (1.4m²). This bedroom also has its own access to the east facing terrace area. Up another short flight of stairs leads to an extensive attic area (40.5m²) of which 7.6m² of the useable area is above 1.8m in height. This has been used as a play area and dormitory. 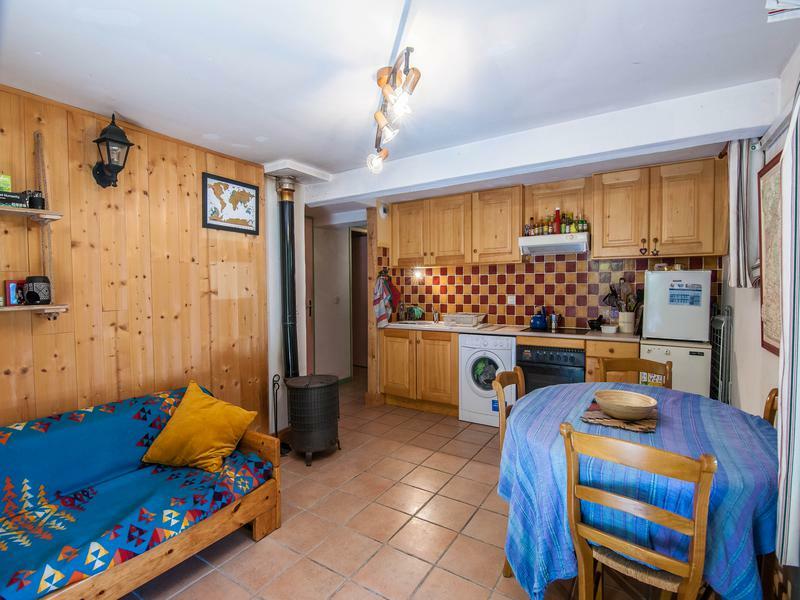 On the lower ground floor is a fully independent apartment with a kitchen living area (17,5m²) complete with wood burning stove, separate bedroom (9.9m²), bathroom (3.4m²) and separate WC (1.9m²). The apartment can also be accessed via a stairwell to the entrance hall. On this level we also have a storage area (8.2m²) and laundry room (7,4m²). A second garage (24.5m²) is also on this level accessible from a driveway at one end of the property. Another storage area 18,4m² accessible from the south side completes the tour. 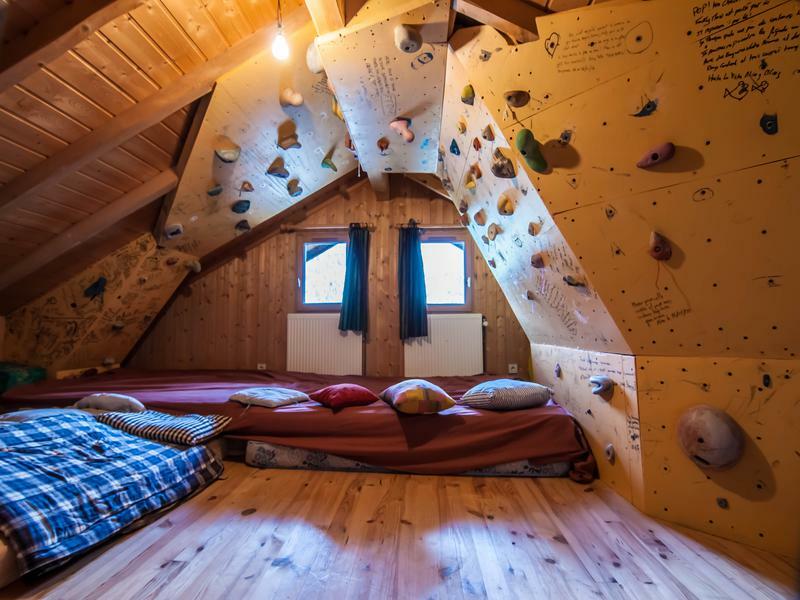 The chalet is fantastic opportunity for someone with imagination and creativity to use the available space to its maximum potential. The large plot of land (an extensive garden for the time being) and current planning regulations allow the possibility for the construction of a second chalet to the south of the main chalet. This could easily be incorporated into the plot without adversely affecting the splendid views to the east and north. 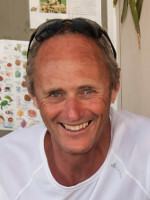 Subject to the acceptance of planning applications by local authorities. 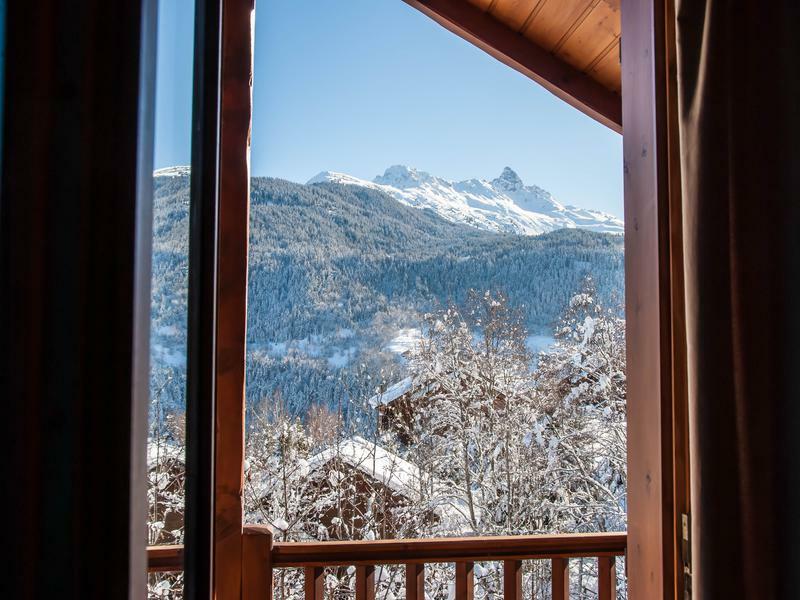 Situated only 1.4kms from the Olympe bubble and acces to the slopes of Méribel and the world famous Three Valley ski area, the chalet is in the perfect location to benefit from the skiing possibilities and the year-round potential of the village of Les Allues. Les Allues has shops bars and restaurants open all year long and is home to an active year-round international community. In summer there is a wide range of outdoor activities including mountain biking, an 18 hole golf course, horse riding and mountain walking. 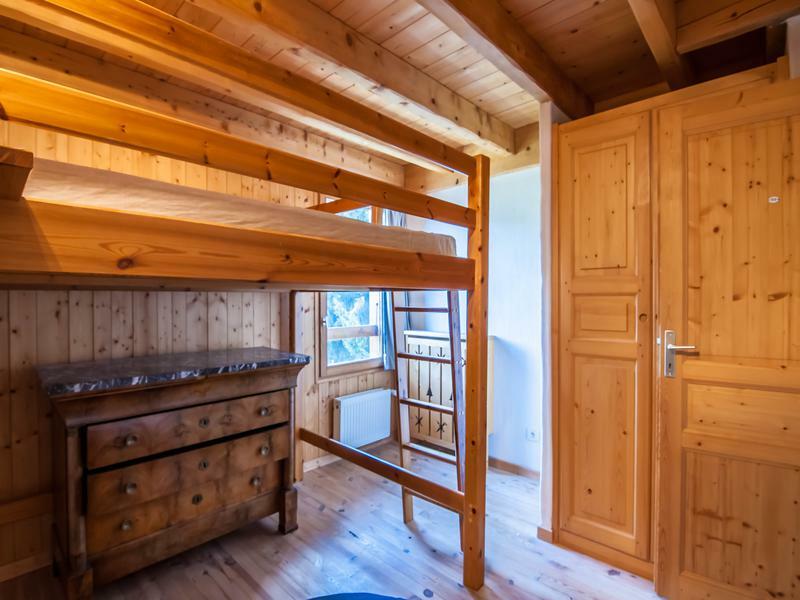 Together with the skiing potential this makes the chalet a fabulous opportunity for a family looking to start a new life in an exciting outdoor environment. 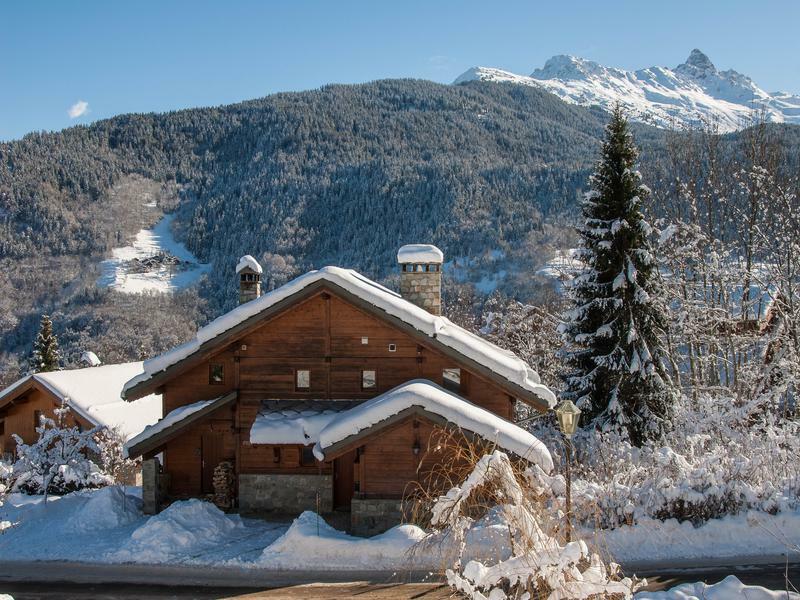 The village of Les Allues in the Méribel valley is just 15km from the Moutiers train station (with Eurostar and TGV services during winter) and the international airports of Geneva (180km) Lyons(175km) and Grenoble (175km) are all within 2 hours reach.